Pickups are great vehicles to have in a variety of situations. Whether you need to go off road or navigate the streets of Temple, they are ideally suited for the job. 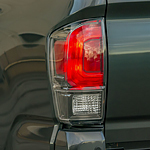 It is important to stay safe, however, that's why the 2019 Toyota Tacoma comes equipped with impressive safety features. The Toyota Corolla is back better than ever, boasting an abundance of impressive exterior features. This popular compact car features expertly crafted design elements meant to impress every driver on the roads of Temple. 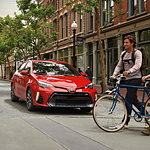 The professional team of associates at Don Ringler Toyota invite you to our showroom so that we can introduce you to the capability and style of the Corolla. A subcompact car can be beautiful. You can feel proud when driving such a car about. 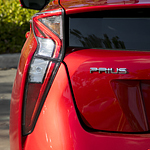 The Toyota Yaris is a popular subcompact option and one of those vehicles that was designed well. You will appreciate the exterior appearance of this car. The grille of a vehicle is something that has the power to set that vehicle apart from all of the others that are parked near it. When you are looking for a car, look for one with a special grille. You will find that the Yaris has a specially designed honeycomb grille at its front. 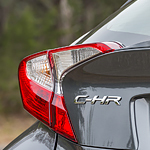 When the team here at Don Ringler Toyota got delivery of the new Toyota C-HR, we wanted to showcase a few of the safety features that make this popular subcompact SUV the vehicle to own this year. Once you shift the Toyota C-HR in reverse, you'll activate the rearview camera system. Instantly the center console information screen transforms to the camera screen, allowing the driver to now be in the position to see everything that is either moving or stationary behind the vehicle so you can avoid getting into any sort of accident. Are you looking for a vehicle that will surprise you when you climb into it because of all of the interior features that it offers? If so, you may want to look into the popular crossover SUV that is the RAV4 from Toyota. 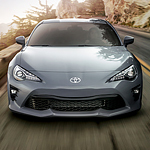 The Toyota 86 is the epitome of a high-quality vehicle. The iconic sports car has a beautiful interior that's designed to be comfortable for both you and your passengers. We here at Don Ringler Toyota are eager to show you the amount of space the 86 really has. 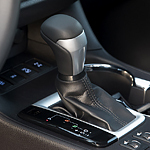 Toyota has always been stellar when it comes to integrating new technology and features into their vehicle. 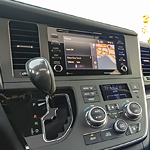 The Toyota Entune system is a navigation system that integrates telematics and navigation that includes weather updates, sports scores, directions, traffic, stock information and even gas prices into a vehicle's technological system. A cell phone plan must be hooked up to the SiriusXM program in the vehicle and then the Entune App will control everything once you are in your vehicle and ready to go. Featuring a quiet interior, USB ports, and rear-seat entertainment, the Toyota Highlander is a popular midsize SUV. It has an assertive design, characterized by a bold front fascia and daytime running lights (DRL). 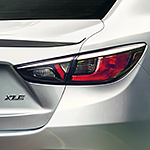 The bold front fascia consists of devilish headlights and a charismatic front grille. Each Highlander grade comes with a different front grille, but they all make the same bold statement. Daytime running lights automatically light up whenever you're driving the midsize SUV to help keep you safer on the road. These days, high-tech features are placed throughout the body of vehicles, not just on the inside. 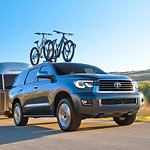 The 2019 Toyota Sequoia is equipped with advanced safety technology. You can get this full-sized SUV with systems that will keep an eye out on spots that are difficult to see.